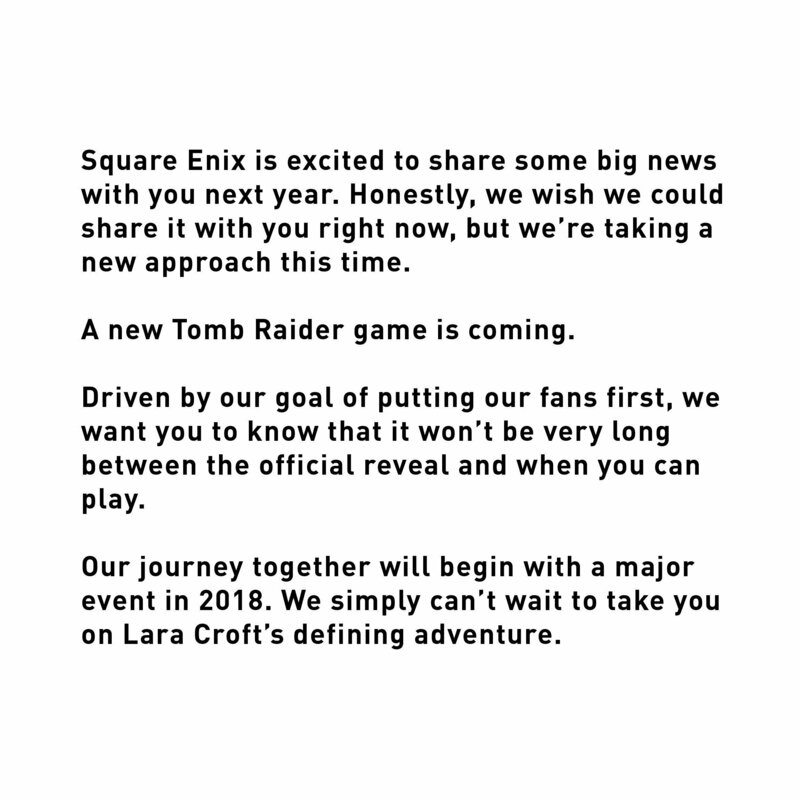 The official Twitter account of the Tomb Raider franchise made a teaser announcement of sorts today regarding the next instalment of the franchise. The news that the wait between the official annoucment and release “won’t be very long” is going to be music to the ears of fans of the series and for gamers in general, who are getting a little tired of the “way too soon annoucements” of E3’s past (im looking at you Crackdown & Death Stranding). The keen eyed among you may also notice that the first letters of each sentence special the word “SHADOW”. Whether this is a red herring linked to the Shadow of the Tomb Raider rumours of last year or actual confirmation is unknown at this time. Personally I’m hoping the “major event” mentioned is around the release of the new Tomb Raider movie, due for release on March 16. Looks like 2018 is going to be a very big year for Ms Croft.